Innovative programs designed for forward-thinking companies. Small changes lead to lasting results. Begin with the end in mind. By prioritizing small habit changes, we can ensure your team will have the tools to live their healthiest lives. With our mobile body composition test unit, you can ensure that your team is achieving the results that affect your bottom line. Using evidence-based, clinical grade testing your team will have custom nutrition, fitness, and stress management data that will improve health and productivity. Evidence suggests that mobile-only wellness efforts fall short with beginners. By combining daily, mobile check-ins and on-site follow-up, we’re able to help both beginners and veterans alike as they pursue healthier habits. Laura has nearly a decade of experience in commercial banking relationship management, working with companies ranging from $1 million to $1 billion in revenue. Laura understands the intricacies of corporate life – stress, deadlines, meetings, and communication. In her role as Director of Corporate programs, she marries her experience in business development with her career in wellness to bring culture change to office life. Matt works directly with employees on or offsite to bring energetic & fun fitness for all levels. Matt’s specialty is working with beginners, giving employees who are brand new to exercise a fun and motivating experience. Matt left his job in healthcare management and policy to pursue full-time entrepreneurship by founding The Hill in 2012. In addition to his work in Kansas City, Matt serves as the COO at 321Go Project – an international entrepreneurship & marketing company. Matt specializes in empowering teams to think like entrepreneurs. Through developing productivity strategies, Matt works with companies to optimize time and stress management. 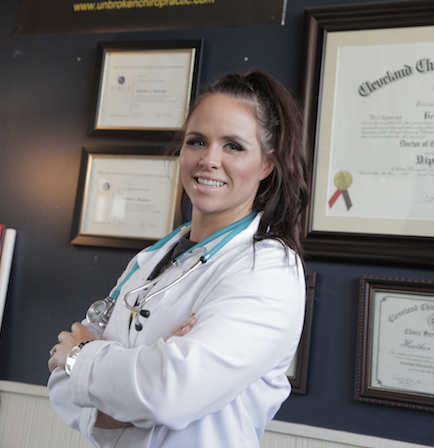 Heather is the founder of Unbroken Chiropractic, based out of The Hill. Heather is our resident ergonomics and orthopaedic pain management consultant. As a part of our Corporate Programs, we begin to address workstation ergonomics and movement patterns to address the most common complaint amongst employees – lower back and neck pain. Josh has been with The Hill since 2013 after leaving active duty service in the United States Marine Corps where he deployed to Afghanistan in Operation Enduring Freedom. Josh works on special corporate projects, specifically in leadership and team building. Using the principles of combat stress management, Josh trains key members of leadership teams to operate under stress and chaos using physical and mindset training. Mindy comes from a local corporate coaching background and now brings her expertise to The Hill’s corporate programs. Mindy’s specialty is in creative workout programming. With certifications ranging from Zumba to Weightlifting, she will create fun and engaging content for your team. We’ll start off with a 6-week team challenge for your team. These can be done either on your campus or at our facility. As a part of the challenge, you’ll have access to a nutrition tracking app with daily check-in’s and point tracking. During that challenge, you’ll have unlimited access to our clinical grade InBody Body Composition Scanner to ensure you’re making continual progress. Dr. Heather will tour the office and present on setting up a safe, productive, and pain free work station. We’ll focus on mindfulness, yoga, and productivity to manage busy schedules and the demands of the modern work-life balance. As an optional add-on to our employee programs, Josh will provide leadership team building and training for upper-level management. We will not work with companies without buy-in and participation from at least one member of your leadership team. The initial “Culture Shock” is an 8-week program which includes 1 week of audits and presentations, a 6 week employee challenge, and a week of wrap-ups. Culture Shock is designed as an introductory program to time management, productivity, fitness, and nutrition. It is structured as an all-inclusive program with no minimum fitness level required. After the initial 6-week phase, we’ll poll your team to see where they’d like to go next. From there, we’ll begin an in-depth 12-week course on one of our three pillars: Nutrition, Fitness, or Stress Management. Our first step is to sit down with your leadership team and discuss specifics. Fill out the form below and we’ll reach out personally within 24 hours.